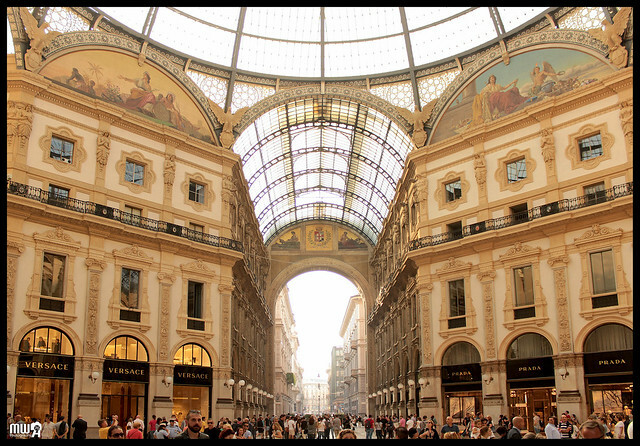 Claiming VAT (sales tax, or IVA in Italian) refunds in Italy is one of those situations which seems like a no-brainer in theory, but in practice the logistics and timing can often be dauntingly complicated. As Brian says, “It's not a slam dunk that it is always worth the effort.” That said, if you have spent a significant amount of money on important purchases while traveling in Italy, you may want to dedicate the extra thought and time to pursuing a refund of the 20% EU Value-Added Tax that is applied on all consumer goods—excluding meal and accommodation costs, unless you are traveling for business--in Italy. The process of claiming VAT begins at the moment you make your purchase...remember: if you don't go through the appropriate steps in order, you will probably be denied your refund at the border when you leave the country. Bring your passport when you shop. To claim VAT at your departure (most commonly at the airport), you will have to have already filled out a VAT refund document when you made your purchase, and will need your passport to do so. Choose your stores carefully. 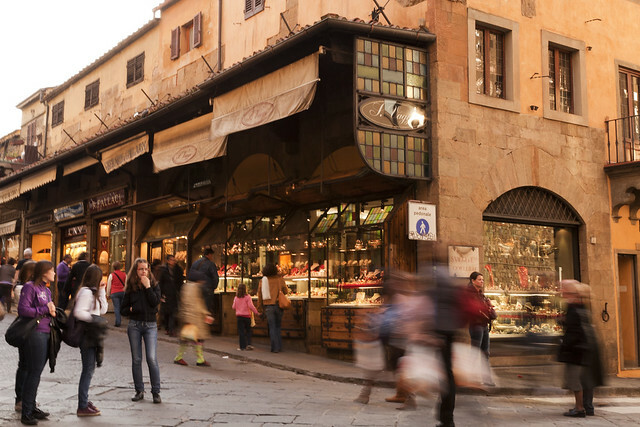 Small artisan workshops are probably not so savvy when it comes to VAT refund processing, whereas high-end shops and boutiques in urban centers or tourist destinations are more familiar with the process. Many shops who cater to foreign clientele have a “Tax Free” sticker in their window, which means that they are often more helpful in streamlining the process and immediately issue a check for the refund amount which must then be presented at the airport “Tax Free” booth (usually near the Duty-Free Shop) along with your stamped documents (see below). Make a purchase of a certain import. If you are due a €10 refund, the time and complications involved in claiming your refund are really not worth it. Also, there is a minimum purchase of €154.94 (yes, it would have been more simple to round it to €155, but that's how Italy rolls), which does NOT mean your global total, but a minimum at one store. If you want to claim VAT, your purchase at each single store must amount to more than €155 (to round up), NOT the total spent at separate stores during your trip. Time it right. If you are traveling for a long period, make your important purchases near the end of your trip as VAT refunds must be claimed within 3 months of your purchase. Also, if you have traveled to more than one EU country and made purchases, they are all presented for VAT refunds at the airport from which you will be departing the EU. So if you traveled first to France and Spain before Italy, your VAT for purchases in those countries will also be claimed at the Italian airport from which you will be departing to return to the US. Get your documents in order. When you make your purchase, tell the merchant that you want to reclaim your VAT. On rare and lucky occasions, the merchant will take care of mailing the paperwork for you and deduct the VAT directly at the register when you present your non-EU passport, and about 90% of the hassle is avoided (though you'll still have to get your documents and receipts stamped at the customs office and mail them back to the merchant). In practice, this rarely happens. You will need to get a cash register receipt, an invoice (fattura) on which the VAT (IVA) amount is clearly marked, and a VAT refund form (often called a “tax free form”) which you will need to fill out/have the merchant fill out. The second step in claiming your VAT refund takes place when you depart the country, most commonly at the airport customs office. Don't break the rules. There are a couple of sticky rules about claiming a VAT refund, which seem to be applied on a discretionary basis but if broken can be used to deny your VAT refund. Purchased goods are to be used only once you've left the EU, so try not to wear those diamond earrings or Versace shoes to the customs office. Also, your purchases are for personal use only, must be packed in luggage (if you are packing your purchases in checked luggage, go to the customs office before checking it), and must go through customs. Find the customs office. This may sound simple, but Italian airports seem to be bent on hiding the customs office in strange, distant corners, so make sure you have arrived with ample time before your flight. Present your documents and goods. At the customs office, queue at the VAT refund line with all of your tax refund documents, invoices, receipts, and purchases. The export officer will inspect your merchandise and stamp your documents and receipts. No, you don't get your refund from the customs office. To actually cash in on your refund, you have to present your stamped receipt and fattura to the merchant from which you made your purchase. Use a refund service at the airport. If the merchant from which you made your purchases works with a refund service (in Italy, Global Blue and Premier Tax Free are the most common), you can present your stamped receipt and fattura at their airport office. These services charge a percent (sometimes hefty) of your refund for the service, but often your refund is immediate cash on the spot. Otherwise, you'll get a refund on your credit card within a billing cycle or two. Contact the point of purchase. If the merchant does not work with a refund service, you'll have to mail your stamped documents directly back to them at the point of purchase and wait (sometimes months) for a credit on your card statement or a check in the mail (which, if in Euros, will accrue additional bank charges in the US to cash). Practice patience. The truth of the matter is that often you will be careful to do everything right, but will still not be able to claim your refund. Either the line at the customs office is so long that you risk missing your flight, or the stamped documents you mail to the merchant never arrive...or are never acknowledged. This is why we often find that the time and energy spent pursuing a claim is simply not worth it.